Lakeland Arson Defense Attorney - Lawyer, Providing Professional Arson Criminal Defense Attorney legal services for Lakeland, Winter Haven, Bartow, Polk County, and the surrounding Central Florida area. 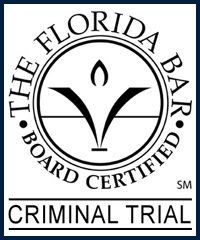 Call 863.660.2185 to Speak with Lakeland Arson Criminal Defense Attorney / Lawyer, Joshua E. Schoen. According to Florida Statutes, Arson is defined as the act of willfully and unlawfully causes damage to any structure or conveyance by use of fire or explosion, regardless if the structure or conveyance is occupied or not. This includes fires or explosions that occur while in the commission of any felony crime. The arson charge is a first degree felony if the accused knew, or had reasonable grounds to believe that the structure was occupied at the time the fire or explosion occurred. A 1st degree felony is punishable by up to $15,000 fine, thirty (30) years prison and/or probation. Arson charges are a serious matter that are aggressively investigated and prosecuted. If the act of Arson was planned or carried out by two or more people an additional criminal charges may be added to the indictment such as conspiracy, insurance fraud, or in the event a person is killed as a result of the act of Arson, Murder or Manslaughter. If the structure in question is (a) the defendant’s property or (b) is not one that is normally occupied by people or the defendant knew or should have known was occupied, it is second-degree arson which is a second degree felony, punishable by up to a $10,000 fine, fifteen (15) years prison and/or probation. Generally Arson is associated with the following types of structures: jails, prisons, or detention centers; hospitals, nursing homes, or other health care facilities; department stores, office buildings, business establishments, churches, or educational institutions during normal hours of occupancy; or other similar structures. Relating to Arson, Florida Statutes identify a structure as any building of any kind, any enclosed area with a roof over it, any real property and appurtenances thereto, any tent or other portable building, and any vehicle, vessel, watercraft, or aircraft. When charged with Arson or other related crimes it is important to be made fully aware of your legal rights, defense strategies, and to have aggressive, detailed, and dedicated criminal defense legal representation in your corner. Hiring an experienced Arson defense attorney may provide you the best opportunity to achieve your desired outcome, or a fair and reasonable resolution. Protect your rights by seeking the legal advice and representation of an experienced Lakeland Arson Criminal Defense Attorney / Lawyer. Contact Lakeland Arson Criminal Defense Attorney / Lawyer Joshua E. Schoen at 863.660.2185 in the Lakeland, Winter Haven, Bartow, Polk County, and the surrounding Central Florida area.